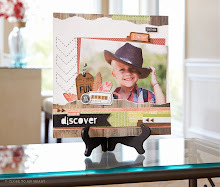 Stamp Happy: July Stamp of the Month! 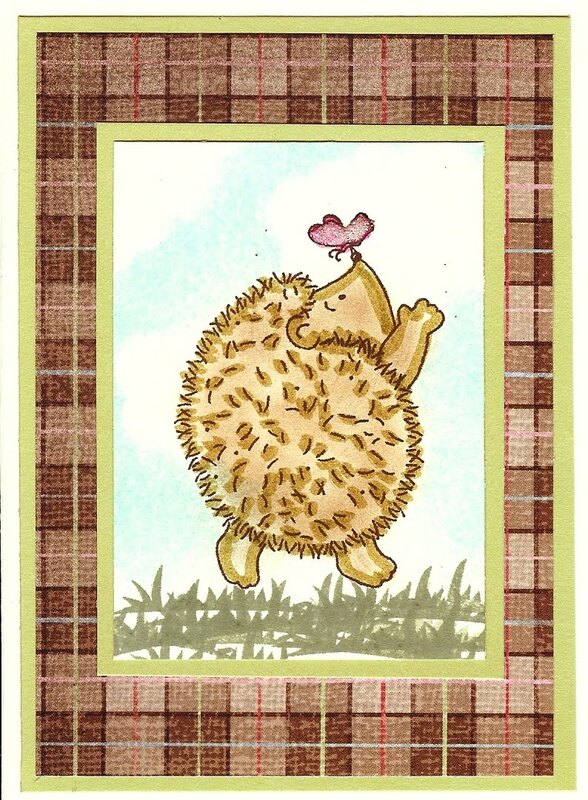 I love this little hedgehog. He just makes me smile. I wanted to use the Cherry-O Creative Basics paper pack, because it comes with 6 sheets of this plaid paper (so I can make lots of these cards). 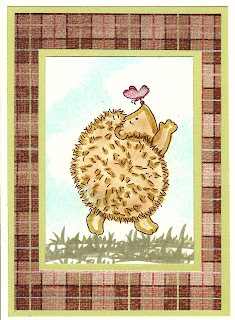 I stamped the outline of the hedgehog in Cocoa ink. I then used the little Desert Sand marker to accentuate the outline and bristles. To color it, I used the Autumn Soft Chalks...just smeared it around with the applicator. You can't tell, but I used a little bit of the Glitz Glitter Glue on the butterfly. It made him stand out a little better. I hope if you have chalk lying around your house, you get a chance to experiment on your stamped images! It's a great way to add a little color, but not too much. I also used a sponge and Heavenly Blue Ink and sponged in some sky. It's a nice finishing touch. Have a wonderful, sunny day!